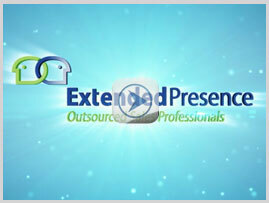 Extended Presence is a sales outsourcing, B2B appointment setting and sales lead generation company specializing in developing and managing a variety of sales and marketing programs for mid-sized to Fortune 1000 companies. Decades of experience: Since 2002, we have conducted over 1500 successful sales lead generation campaigns for our clients. In 2017, our appointment setters acquired an impressive 1,400+ face-to-face or conference call appointments for our clients. Our focus is on quality appointments, not simply quantity, to ensure we give you leads that can deliver a strong ROI. Leads that your sales team will appreciate receiving from an outsourced sales firm that is highly regarded for the quality of its B2B appointment setting results. Let us deploy our proven capabilities to help your organization’s direct and channel sales reps acquire new customers, develop new business relationships, and improve the sales pipeline with Extended Presence’s sales outsourcing. Contact us today.